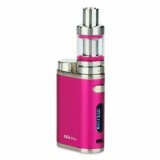 Eleaf iStick Pico 75W TC Full Kit is a great choice for you if you are looking for some small kit to take out with you. The compact size and excellent performance will not let you down. Eleaf iStick Pico 75W TC Full Kit is a great choice for you if you are looking for some small kit to take out with you. The compact size and excellent performance will not let you down. iStick Pico 75W mod supports VW/Bypass/TC-Ni/TC-Ti/TC-SS/TCR Mode, it will bring your excellent vaping experience. It comes with upgradable firmware, and it is really easy to operate. Output is really stable as well. Eleaf Melo 3 Mini atomizer comes with 2ml capacity, top filling, and hidden adjustable airflow can bring you pure flavor. And it can fit the mod perfectly fine because of the grooves on the bottom, can prevent “no atomizer” from happening. 14 colors and there are resin version, get one of this, it will not let you down. • You can buy Eleaf EC coils 0.3ohm/0.5ohm, 0.15ohm Ni200, 0.5ohm Ti and ECR coil. • It doesn't include lithuium batteries. I have been looking for a compact box kit, so I can carry it there and here, but others just not functional or cannot support battery replaced. till now, I finally find it, this istick pico by ELEAF. The moment I grasp it, I know that’s the one I want. one 0.3ohm coil and one 0.5ohm, a usb cable, a pack of rings, supports replacing 18650 batteries, there is venting hole on the bottom, the instructions says that it supports VW, and eight modes switchable. I cannot wait to have a try. There are many functions, but simple to use! Good ergonomics! The comfortable in my hand, and large enough for gravity! High-quality products! The disassembly is simple, the battery fits very well! The display shows a lot of information, but it can be read.Melo3 is very good atomizer for Dl use. Good taste and steam do it. The coil works well for a long time. ! The development is quality! Very good price! It was good to ship quickly, very satisfied with low price and good quality. I wish you a prosperous business. Eleaf products often have lots of color selection. This mod kit is beautiful. Repeat purchase. It is the kit that I want. Great. Ordered it for on the go use. It's light and small, very convenient to carry it in my pocket. And the upgradeable firmware can always keep my device updated, that's amazing. Love eleaf, thank you buybest for the good deal. Дизайн мне понравился и цена ниже чем у других магазинов! Eleaf iStick Pico мод с возможностями 75W, имеет сменные аккумы, полный фарш, но гораздо компактнее. The TC function works well. Would buy again. black Eleaf TC kit,taste and smoke are great!love it very much! Did some reserch online and bought this 75w istick pico kit for my mom. Hopefully she will quit smoking successfully this time. Eleaf has some classical products and I think this istick pico kit is one. Maybe five years later, there would be demands for this eleaf product. Love the small size of this eleaf pico kit. I can nearly hide it in my palm. Single 18650 battery is a little bit limited for a chain vaper like me. Better prepare more extra batteries for alternative use. A nice small kit. It's comfortable to hold and operate with one hand. The battery cap is lacoted at the top side while the adjustment buttons are hidden at the bottom section, which is a little bit strange but once you get used to it, everything is simple and convenient. Highly recommend this istick pico kit to small device lovers. 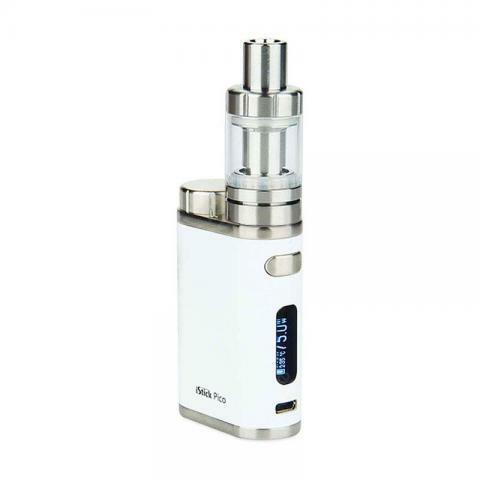 Have been looking for a decent single 18650 device and this istick pico seems to be very popular in the market. So I ordered it here as this site has the best price. The package came in good condition, all accessories are complete. Wood Eleaf Tc Kit give me good vaping experience,everything very well!Fast delivery and best package. I bought two pico, both in flash sale prices. So satisfied. By the way, the vaping products here are all authentic. I have checked. 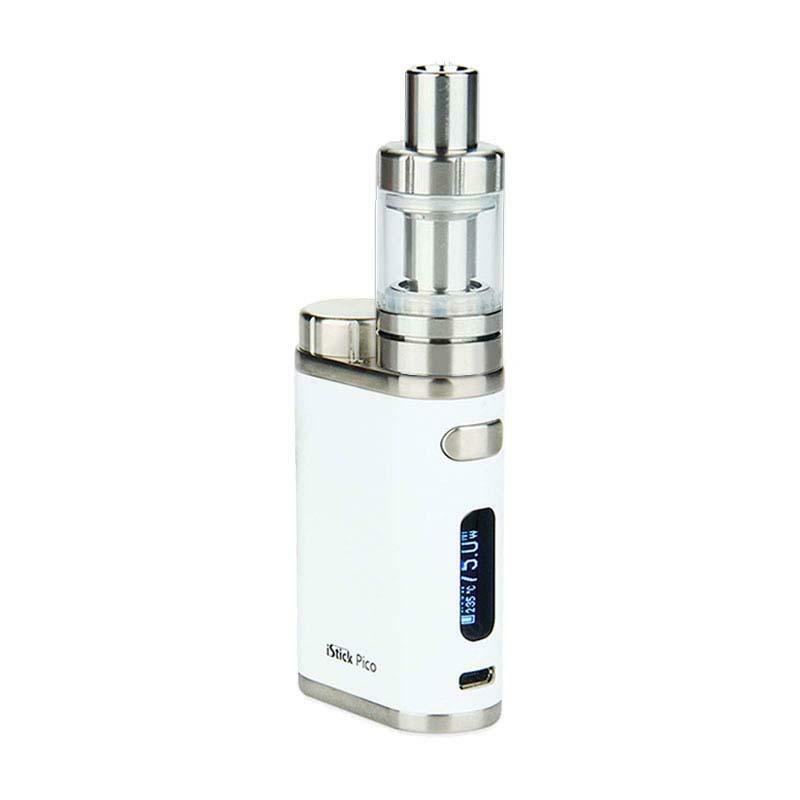 Eleaf istick TC kit Great original Eleaf quality, easy to use, good for beginners, nice price. Eleaf iStick Pico 75W TC kit is a small kit,i can carry it with me everyday.Fast delivery ,love it!